Science-Backed Causes and Ways to Beat the Binge. We’ve all been there. Big deadline at work or stressed-out during the holidays. In fact, chronic stress is a nightmare for mental AND physical health. I wrote an entire chapter dedicated to the topic of stress in my book, The Paleo Cardiologist. And when we are stressed, bad food choices are the norm. Let’s face it, broccoli salad is not on the menu when stress hits. You need new emotional or behavioral strategies in place to prevent defaulting to the normal routine of eating unhealthy, comfort foods. Don’t let yourself get too hungry. This is a preventative tool to help beat the binge during an emotional crisis. Eat at regular intervals to help keep you full. Drink a glass of cold water when you think you’re hungry. This provides satiety and boosts metabolism. Take a moment to pause. Evaluate if you are truly hungry and then decide to eat or not to eat. Purge your pantry of food triggers like alcohol or sweets. Out of sight, out of mind. Do not keep junk in your house! Learn to manage your stress. Food should not be your solution to stress. Find a healthy, stress-relieving habit that works for you. Get active. This is one of the best tools to cope with stress, boost mood and suppress appetite. Try to walk or do some form of aerobic exercise for a minimum of 30 minutes a day. Do something that relaxes you such as yoga, meditation, massage or hot bath. This type of ritual creates mindfulness and helps decrease stress. Get adequate sleep. Getting enough sleep makes you feel good and function better. It also helps to regulate your hormones. Get sunshine. Sunlight has a thermogenic effect that can decrease appetite and boost mood12. Seek social support. Rather than searching for comfort foods to cope with stress, seek out friends and loved ones to talk to. Keep an emotional journal and food diary to document your feelings and eating habits. This can help you to identify key patterns that keep coming up. Snack on spicy foods. This revs up your metabolism and curbs cravings. Get the stressful people and situations out of your life! The concepts of stress binge-eating and comfort foods are real. In fact, there is a biological mechanism behind both. One moment you’re stressed about a big deadline at work and the next thing you realize is that you’ve just downed a bag of chips and a pint of ice cream while staring at a television screen for two hours. Following that pint of Mint Chip, feelings of guilt and frustration usually set in. While this may seem extreme, it is an actual problem that is prevalent today. 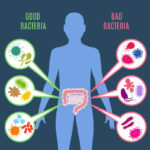 Yet, contrary to popular belief, a recent news post from ABC News revealed that eating comfort foods doesn’t actually lead to happiness according to new research1. The phrase “stress eating” is a phenomenon that coincides with stress. 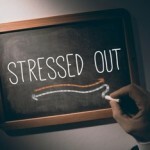 Constant stress causes the body to release stress hormones like cortisol. The release of cortisol ups cravings and pushes people, especially those who are psychologically susceptible, to seek out comfort foods and over-eat. Stressors such as those from life or work can trigger physiological cravings for comfort food. The American Psychological Association reported that in 2017 Americans were more likely to report experiencing stress symptoms such as anger, anxiety or fatigue2. While there are varying levels of “stress” or “emotional” eating disorders, the most advanced state is labeled as a Binge Eating Disorder (BED). This is one of the most common types of eating disorders exhibited today. The most important risk associated with BED and emotional eating is clinical obesity. Furthermore, new research elucidates that comfort food doesn’t just influence your weight but also contributes to a decline in mental state3. Interestingly, it is more common in women than men2. There are certain clinical conditions that must be met in order for one to be clinically diagnosed with BED. It’s important to understand that there is an actual neurobiological basis for binge eating and stress eating. People respond to stressful situations differently. There are many scientific reasons for why some individuals are more predisposed or more likely to engage in emotional eating in times of stress. Females are more likely to report binge eating than males according to research published in Eating Behavior4. Individuals who are genetically susceptible are more likely to perceive stressful situations differently and thus may be at risk for developing eating disorders like BED5. Furthermore, genes can influence how the body responds to various environmental cues and thus modify the risk for BED5. People with BED may have certain neurotransmitter genes that are upregulated and this disorder could be inherited. Specifically, they seem to have a heightened activity of dopamine, which could manifest as a heightened desire for reward or pleasure6. Individuals with BED or those prone to emotional eating may have structural brain changes that research says can cause increased sensitivity to food and less control when around food7. A novel study published in 2016 in Psychosomatic Medicine revealed there is a significant link between psychological state, trauma and BED8. Specifically, this research found that both BED and bulimia nervosa are significantly associated with childhood abuse8. 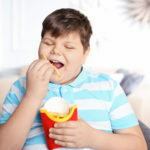 Other studies have pointed to a significant clinical link between food addiction, emotional dysregulation, mood disruption and BED in obese patients9. Overeating in times of stress is unhealthy. It can wreak biological havoc on your metabolic system and contribute to an increased risk for metabolic syndrome, diabetes and obesity. The Midlife in the US study examined stress eating and its effects on glucose metabolism and disease risk10. Their findings showed that stress eating was significantly associated with increased levels of glucose, HbA1c, insulin, and insulin-resistance in non-diabetic adults10. 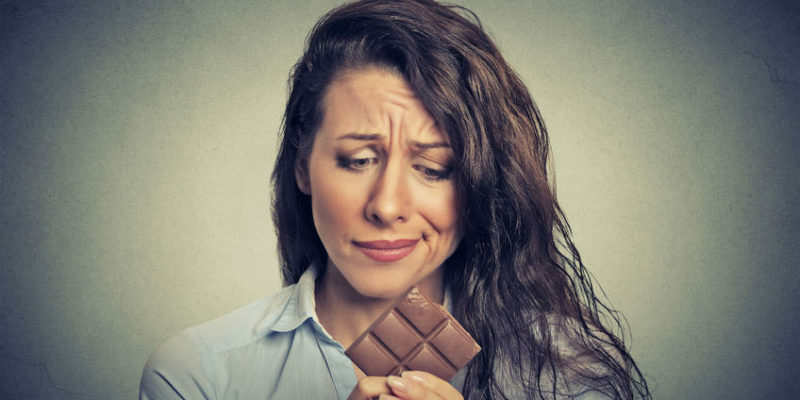 Furthermore, these researchers concluded from these results showed that emotional eating is linked to dysfunctional glycemic metabolism and an increased risk of prediabetes and diabetes development10. Consistently, emotional/ stress eating has been associated with metabolic disorder. The Brown University Medical Student Study analyzed students during a baseline period and two examinations11. The study showed that the students who were stress eaters exhibited significant increases in weight and increased levels of insulin, cortisol, and total cholesterol compared to controls11. The study also concluded that stress eating has short-term impacts on metabolic health and may modulate long-term disease risk11.